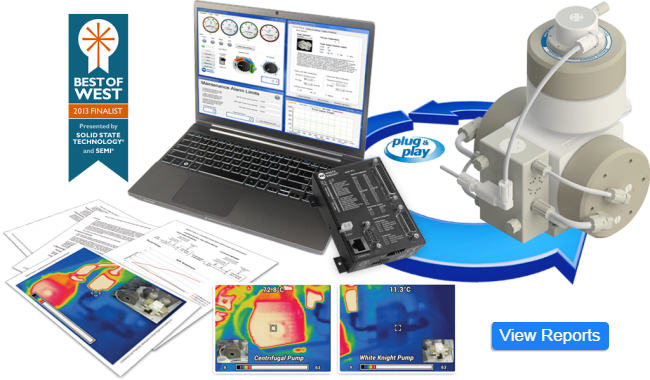 White Knight manufactures fluid handling products for semiconductors, solar cells, LEDs, flat-panel displays, electronics, and industrial applications. White Knight pumps offer superior performance, optimized efficiency, and simplified maintenance. Their leak-proof designs provide constant, reliable, and safe operation. White Knight provides the highest quality products through controlled, consistent in-house engineering and manufacturing. 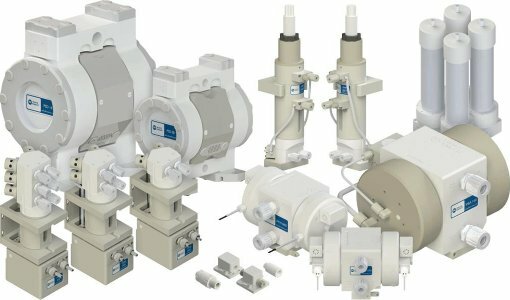 White Knight high-purity pumps are assembled, tested, and packaged in a Class 100 clean room. White Knight manufactures air-operated double-bellows (AODB) pumps, air-operated double-diaphragm (AODD) pumps, and metering pumps. 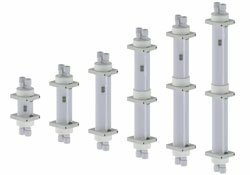 White Knight high-purity pumps are used to deliver, circulate, reclaim, and transport chemical fluids and slurries for semiconductor, solar, LED display and electronics industries. Ultra-pure AODB pumps feature Teflon® PTFE and PFA fluid paths. They are capable of high pressures, high temperatures, and running dry without damage. They can recover from dead-head situations without intervention. 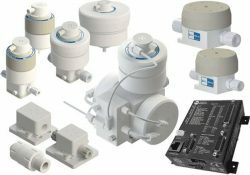 High-purity AODD pumps feature Teflon® PTFE or UHMW (PE) corrosion-resistant fluid paths. They are ideal for corrosive or toxic liquids such as acids, fuels, glues, paints, resins, inks, or wastewater. PSB Series pumps are direct retrofit replacements for obsolete chemical delivery pumps. 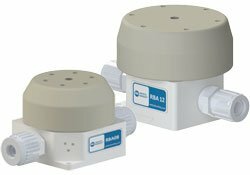 High-purity pneumatic metering pumps and electronically-controlled metering pumps accurately dispense up to 100 ml and 50 ml, respectively. Their fully-supported Teflon® PTFE rolling diaphragms maximize pressure capabilities and ensure safe, reliable operation. Accurately control pressure for circulation loops or multiple dispense points without additional circuitry or feedback. Chemically-resistant PTFE and PFA fluid paths with laminar flow for dispense and mixing at the point of use. 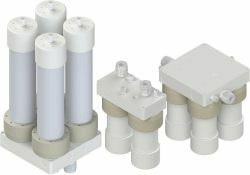 Universal, compact, multi-chamber filter housings with PTFE and PFA fluid paths for high-purity chemicals. White Knight pump accessories include Pulse Dampeners, Pre-Filters, Controllers, and more.